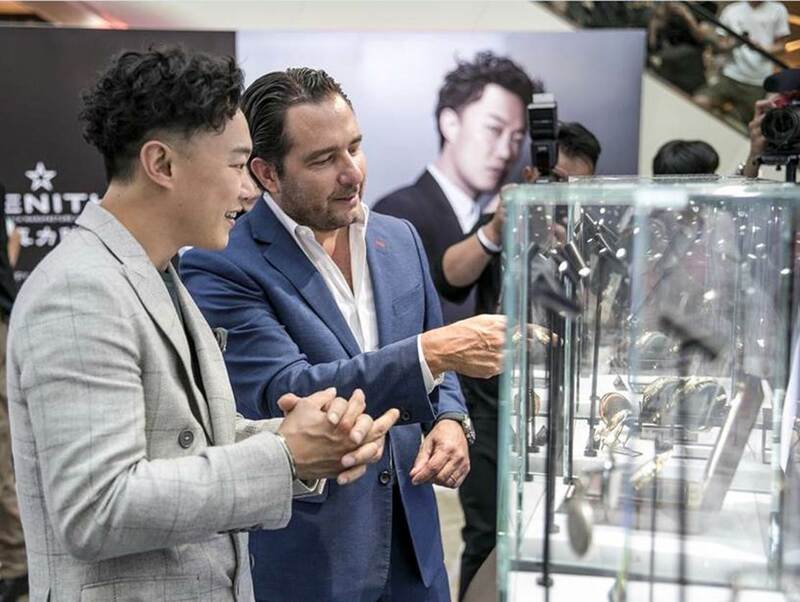 Attended by an audience of journalists, VIPs and friends of the brand, the roadshow event held in Tianjin on August 23rd 2018 marked the first appearance of Eason Chan as the new ZENITH ambassador, along with the unveiling of the video campaign. The evening also witnessed the introduction in China of the Zenith Defy El Primero 21 Full Diamonds. Zenith created a futuristic atmosphere for this occasion, set against an understated black backdrop to usher guests into the next era of watchmaking, while offering an immersive experience of the new “Into the Second” video campaign. The latter stars Eason Chan as the face of the brand in Asia and offers a stunning interpretation of the artist’s musical focus on rhythm, tempo, passion and dedication, all attributes that are equally shared by Zenith with regard to watchmaking. The “Into The Second” theme innovatively combines the image of a sundial, believed to be the prototype of timepieces in human history, the beat of a metronome, as well as a monologue by Eason Chan, into a well-curated story. 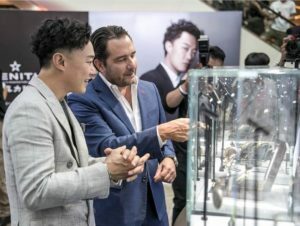 Jointly orchestrated by the new ZENITH ambassador and CEO Julien Tornare, the fast-paced and lively high-tech presentation also featured the launch of the Defy El Primero 21 Full Diamonds. When it comes to the creation of music, which requires polishing by time and attention to detail, no sacrifice is too great for Chan, who says: “Alongside my lifelong passion for music, I am committed to helping people appreciate the value of making every second count.” Zenith shares a similar philosophy. From the legendary high-frequency El Primero movement to the miraculous Defy, which boasts 1/100th of a second chronograph, Zenith has been constantly pushing the boundaries of horology for over 150 years with the release of creations that have revolutionized Swiss watchmaking. Powered by the new 1/100th of a second chronograph movement, the groundbreaking El Primero 21 Full Diamonds takes extravagant style to the next level, complementing its rich inner workings with a diamond-set bezel featuring a dazzling five carats. 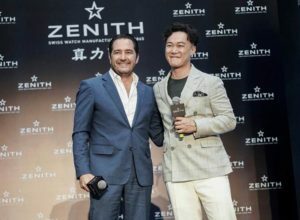 In keeping with Zenith’s vocation for interpreting “time” through its own languages, the launch event was also marked by the start of an exhibition tour chronicling the evolution of time. Providing an exceptional wideangle viewpoint of Zenith and its 150-year journey, the exhibition ends on August 26th, before moving on to Wuhan, Chengdu, Beijing and Hong Kong.